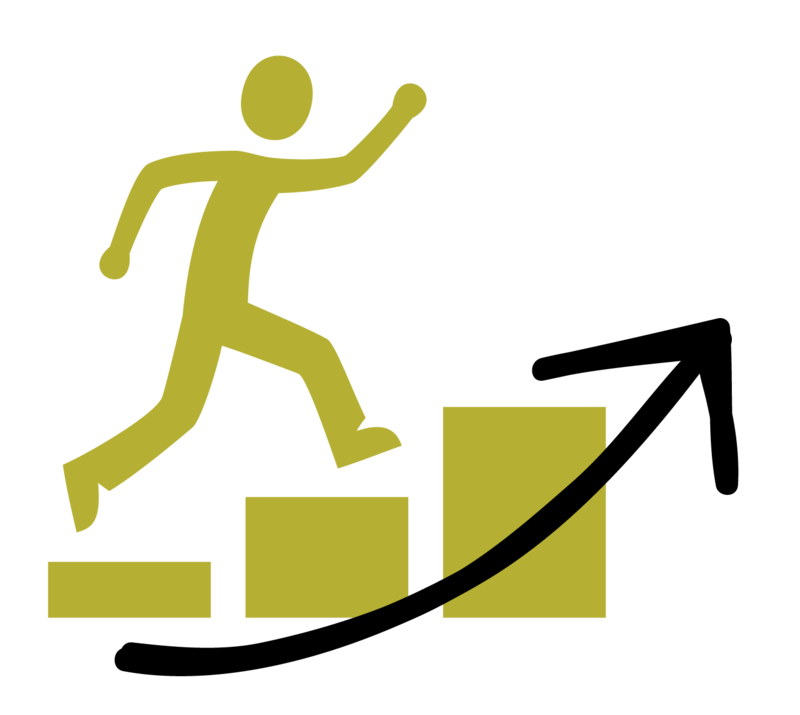 Retention is always a hot topic in the nonprofit industry. Knowing how to increase donor retention rate and loyalty through engagement is the key to survival of every successful nonprofit organization. Alpha Dog Marketing consistently receives requests for more information and advice on how to maximize donor relationships and lift retention rates. One key path to success is receiving vital donor feedback. So what is donor feedback? 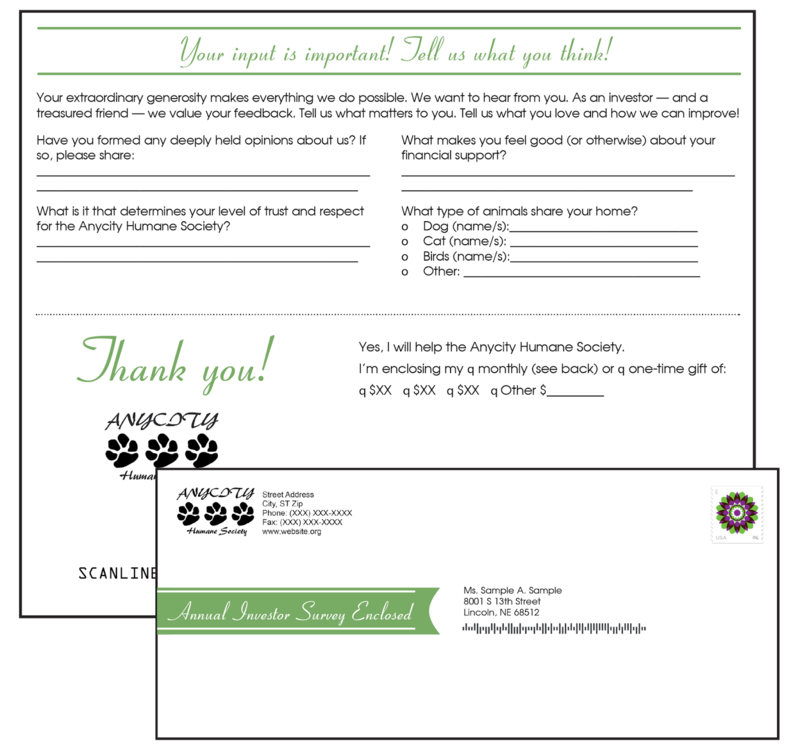 Donor feedback is the act of giving your donors the opportunity to provide their thoughts and feelings about your cause and current fundraising efforts. It allows your organization to discover what your donors find most valuable and gives you useful information through structured listening. What is structured listening? It is when you provide donors a clear and organized way to communicate with you either through a survey or direct conversations. Most organizations will only get this type of feedback if they ask for it. So ask! We all know that the most important factor in retention of donors is consistent use of strong engagement practices. By allowing feedback from your donors, you and your agency’s leadership have the added benefit of seeing your organization through your donors’ eyes. In most cases, donors are more than happy to provide feedback because it shows that you care about what they think and feel. If you are not asking your donors for feedback, you are missing a big chance to add value to your donor base and organization. If you’ve never surveyed your donors, start with your major donors and record and implement the appropriate feedback. As you gain information and procedures for recording and use of the data, then you can begin surveying mid-level donors and finally all donors. Feedback can be gathered through personal contact, but also by surveying your donors on an annual basis. This can be done best by mail and can also be offered online for those donors who have signaled they only want to communicate by email. Finally, telemarketing can also be used to gain the information when internal procedures are in place. Before an organization starts asking questions, it is important to form a strategy for receiving and implementing the feedback. Have a plan on how to gather and interpret the feedback you receive before beginning a feedback strategy. Keep in mind diagnostic and relational measures, like why the donor supports your agency, how a specific interaction made a donor feel, the strength of your relationship with the donor and their commitment to your cause. Do not ask questions that you already know about the donor, such as how long they’ve supported your organization or the amount of their last gift. Avoid asking “double barreled” questions; instead make the question single focused. Use key touch points to gather feedback. For example, when your organization answers an incoming phone call or when a donor is filling out your online donation form. The best time to ask for a donation and feedback is right after a great experience the donor has with your organization. Use a voice broadcast loyalty phone call with a no-ask rule. If the donor connects with your agency and inquires about how your organization is performing, then call them occasionally with updates; stay in front of your donor in order to not be forgotten. Keep the best follow-up action in mind for situations such as resolving a concern or showing donor appreciation. Prompt response to feedback will further increase engagement and retention. Based on the feedback responses, you can judge what the appropriate follow-up action is. You will only know about the experiences and the relationships your donors have with your nonprofit organization by asking for feedback. Engagement is about staying top-of-mind with your donors. Bring your marketing campaigns full circle with feedback and use that data to respond accordingly and proactively. 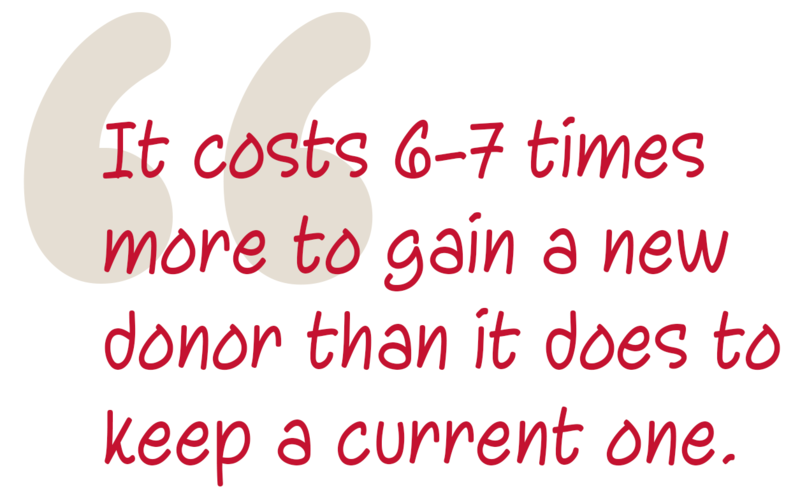 Your donors will stay more loyal and will donate more.